During the early 90’s, Delphine Software and Electronic Arts released a little fighting game onto the Sega Genesis and SNES that would gain a most infamous reputation. 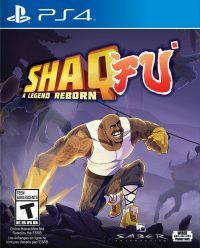 Shaq Fu, as the name would imply, features Shaquille O’Neal battling his way through an alternate dimension in order to save a young boy from an evil mummy. The game would receive mixed reviews, and in preparing for this review, I had to go back and play it again. While I do think the hate that Shaq Fu was subject to was a bit much, it was by no means a great game. Still, the ridiculousness of the concept coupled with the digitized graphics and smooth-for-their-time animations made me think that if a sequel would ever get made, they could take what was learned from the original and improve on it. We didn’t get that sequel until June of 2018, and the game we got is not at all similar to the original. What it is, though, is a lot of fun. It’s a lot of fun! Didn’t I just say that? I’m sure you’d like a little more detail than that, though. 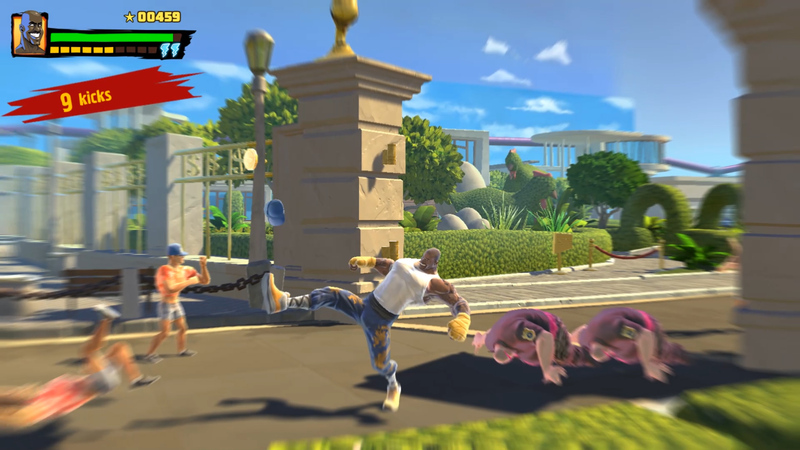 Shaq Fu: A Legend Reborn is a beat-em-up game. You play as Shaquille O’Neal, an orphan Chinese boy, raised by a possibly creepy peasant. Shaq takes on martial arts training. Working hard, he becomes a master of Wushu martial arts. Shaq vows to rid the world of the demon scourge after his master is unceremoniously killed. The characters may be different, but you’ve heard this all before. None of that really matters, because the game simply doesn’t take itself seriously. It’s very self-aware, to the point of even referencing its own crowdfunding campaign. You’ll fight your way from left to right beating up on hordes of mostly mindless enemies until you reach the level boss. At this point, new rules will apply and you’ll need to figure out the best way of dealing with that boss. 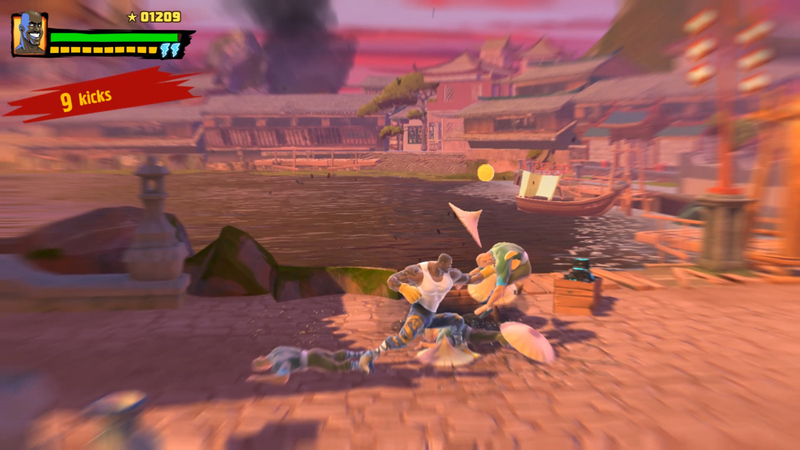 Usually, in these types of games, you will not be able to be attacked if you are on a different plane from the enemies, but the bosses throw that out the window with some attacks that can track you. That can be incredibly annoying if you lose focus for a second and wind up in range of that attack. 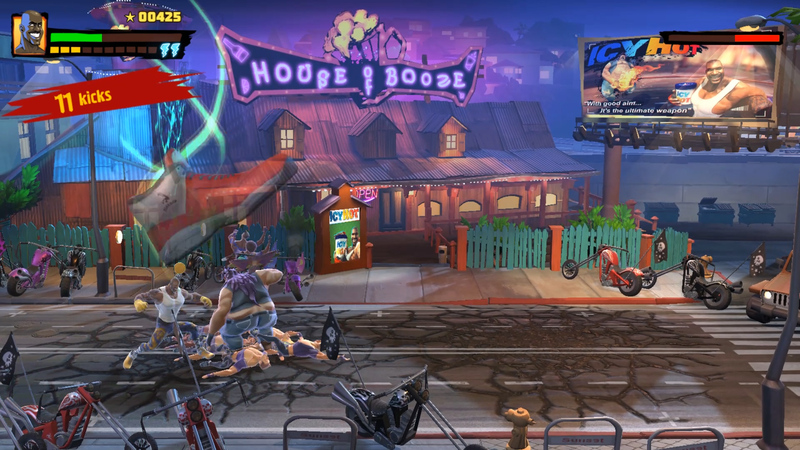 Shaq Fu is a strictly single-player game. One player, one life, go forth and fight. You will be able to extend your life bar as you go further on into the game, but there are no extra lives. This is mitigated by the fact that the game saves regularly, so even if you do die, you can pick up again at the last checkpoint you unlocked. From a pure gameplay perspective, the game feels a lot like the original Battletoads arcade game. It’s fast, frantic, and the a little sloppy at times. It shares a few elements with it, like enemies that will come in from the top and bottom of the screen, kicking enemies into the screen and the occasional light puzzle-solving you’ll have to do to figure out how to beat a boss. The controls are responsive, however, the game does have issues with collision detection. Sometimes your attacks will go right through enemies, and other times they’ll land as expected. The game also doesn’t have a grapple mechanic like other games in the genre, so throwing is not possible. That said, it does have what is possibly the greatest feature ever to be put into a video game. Shaquille O’Neal transforms into a giant cactus and fires spines at baddies. Things like this make you remember that games are supposed to be fun. In our quest to make them more realistic, cinematic, or emotionally impactful, we’ve sucked the joy out of gaming. When games like this come along and bring that joy back, they’re worth paying attention to. 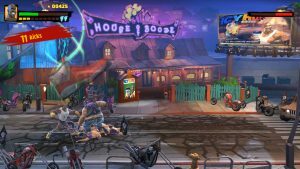 Shaq Fu: A Legend Reborn is a rough game at times. It’s a little buggy, a little bit unbalanced in spots, but it’s still a lot of fun. Shaq can also turn into a giant cactus. Did I mention that part? Normally I dislike game developers having to patch out the issues in their game after release, but in this case, I’m going to hope that the folks at Big Deez take the time to polish this one post-launch. The score from ‘94 has been settled, even if it never really needed to be. A copy of the PS4 version was provided to us by Big Deez Productions and Saber Interactive for coverage purposes.